The USB Airplane Fan helps you keep your cool. 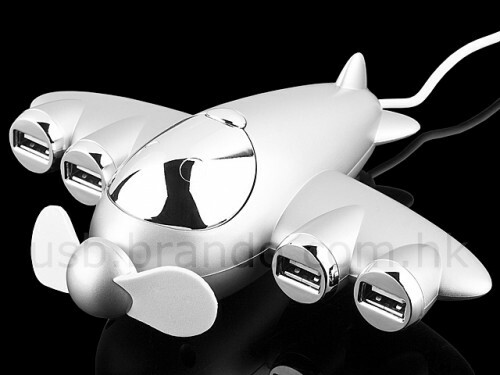 Use the included USB cable to plug the USB Airplane Fan into a USB port of your computer or laptop and feel the spinning propeller send cool air your way. Just be careful on takeoffs and landings. It’s also a four port USB hub. Nice.